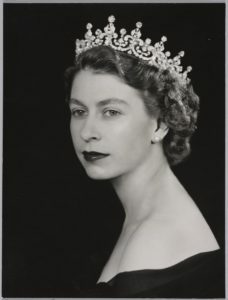 Elizabeth II has been a great queen for the British Commonwealth. But as Christians, we should call to mind often that we are children of God and so far more important than any human royalty in any time or place. Central idea: The greatness of the lowly. Doctrine: The virtue of service and the vice of envy. Practical application: Humble and admiring nobility. To view Lectionary 134, click here. The wicked hate the just man because he reminds them that their way of life is in violation of God’s way. The just man does not even have to speak: his very behavior is a reproach to them. They don’t even stop to ask if theyare wrong and heis right, and so, if theyshould change. Their perverse logic is, let us see if this man really is God’s son by subjecting him to the most difficult test: revilement, torture, and a shameful death. Is this possibly the way Judas thought when he betrayed Christ? Did Judas think his ploy might force Jesus to reveal he was the Messiah or even force God the Father to dramatically rescue Christ? But God respects the freedom of the godly to be good and the wicked to be evil. We also have a partial portrait of Jesus Christ, and so, God the Father: both are just, patient, and gentle. The psalm teaches that man becomes righteous by setting God before his eyes and acting accordingly. Those wicked men the prophet spoke of are right when they said of the just one, “God will take care of him,” but not the way they assumed. God may let the wicked get what they want now, but it won’t end the way they wanted. God may notlet the just one get what he wants now, but it willend the way he desires: God will uphold his life for eternal life. Christian wisdom is built on Christ’s revelation: our good and bad behavior arises from our interior dispositions. What is inside us finds its way out. Still, God stands ready to give us what we need so that the good in our hearts can be healed and grow. To the partial portrait of Jesus Christ and God the Father begun above (just, patient, and gentle), we can add peaceable, compliant, merciful, good, constant, and sincere. It is God’s will that we share in the glorious kingship of Christ. Just as in last Sunday’s Gospel, Jesus asks his apostles a question. This time they do not answer, because they are ashamed to. Their reasoning is probably something like this. Jews are greater than Gentiles. The disciples are greater than the Jews in general. The Twelve are greater than the rest of the disciples. Therefore, one of the Twelve must be the greatest among this select group. But one reason they are silent is that the Lord’s greatness is so out of proportion to whatever favor or merit they might claim. In addition, they know Jesus well enough to intuit that there is something wrong about exercising greatness and power as the world does. Jesus’ response is as surprising and profound as his revelation in last week’s Gospel about each one of us having a cross and that cross being our way to salvation. “Ifanyone wishes to be first, he shall be the last of all and the servant of all.” The example he provides to illustrate what he means is receiving a child, the epitome of unimportance. Receiving a child in Christ’s name is the way to receive Christ, and thus the Father. Stooping down to serve the most lowly is the way to reach the heights of Christ and God the Father. If anyone wishes. This isan ambition Our Lord approves of. Because we share in the Kingship of Christ, we are all kings or princes, queens or princesses. However, Christ the King’s way of ruling is service: “drawing all men to himself by giving his life as a ransom” (CCC 786). This service includes our obedience to the moral law. As Pope St. Leo the Great put it, “What, indeed, is as royal for a soul as to govern the body in obedience to God?” (quoted in CCC 786). Augustine sees envy as the origin of many other evils: “hatred, detraction, calumny, joy caused by the misfortune of a neighbor, and displeasure caused by his prosperity” (CCC 2539). Today’s readings are chock full of examples of these bitter fruits. Every human being knows deep down—even if not consciously—that he or she is very important. As Christians, we should call to mind often that we are children of God and so far more important than any human royalty in any time or place. At the same time, our hearts are wounded by original sin, by our experiences, and by our personal sins. In addition, other people often do not recognize our importance. As Fr. Robert Spitzer points out in his insightful work on the four levels of happiness, when our own importance is not recognized by others, we can become sad, depressed, angry, or contemptuous. He also points out two practical ways to respond to these promptings of envy or misguided self-criticism. When we see something another has and we don’t, we can respond with humility rather than humiliation. Humility sees the truth. The other really has received some gift we have not. For example, this other person excels over me because God has given him three times more energy than me. A second good response is admiration at the good the other possesses. Why admiration? It can encourage us to do more or better. For example, the one who has excelled over me has so much more energy. So, I want to cultivate the energy God has given me and even find ways to increase it so I can do better.